Me, “Not really, I’m not really thinking about that right now. I’m not one to build up on expectation.” My lack of enthusiasm might act as a defense mechanism, so I don’t get hurt because the outcome didn’t turn out as I hoped for. Honestly, I really just to be in the RIGHT NOW, get done so this project can run as smoothly as I can make it. I’m neck deep in planning and organizing. I can tell you that I clearly visualize my path. Keep my eye on the prize. Get the Jeepney to Burning Man this year. Deal calmly and swiftly with problems that arise. TRUST the message and the mission. I repeat that over and over and over in my head. Knowing I’m about to leave does make me kind of melancholy because I’m losing my support system: my husband, dog, and LA. But the work needs to get done. Just grateful for technology because none of those things will ever feel that far away. “So what are you going to do over there?” Is usually the follow-up question. First things first, go to Cebu to meet Brian Korsedal of Digital Permaculture, an ex-pat designer overseeing the build of the art car. Digital Permaculture seeks to change the world through fusing digital technologies, art and sustainability. He’s been a true blessing, (big thanks to Andrea and Boris!) 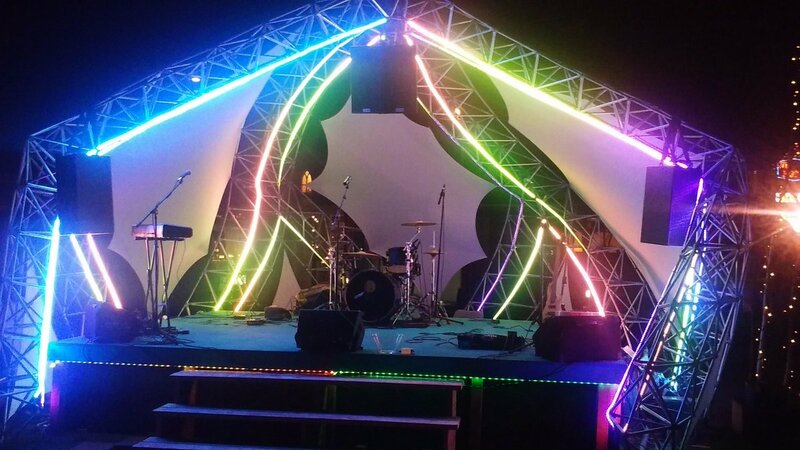 Brian is experienced in building art cars, immersive installations and stages. I’m stoked because we’ll be using indigenous material, bamboo coated in carbon fiber, for our base structure! How cool is that?! Documenting process, life, and art is my trade, it’s in my blood… part of my mission is to discover and share with you everything there is to know about the Philippines. I’m exploring themes of identity and environment through people, places and issues. As I connect with everyone in the world through my videos I’m hoping to impact and inspire Filipinos to dream big and do great things. Hope you’ll join me this adventure. Please subscribe to my YouTube Page for the latest! It means so much to me to have your support!